One of the hallmarks of a good educator is a drive to keep learning. One of the hallmarks of a professional is the drive to keep abreast of the field. Mr. Garcia-Bolao is a member of the following professional musical associations, which provide support and continuing education to music professionals, as well as performance opportunities for their students. 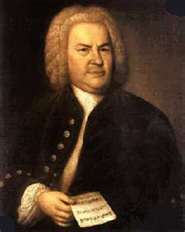 American Bach Society – The American Bach Society was founded in 1972 to support the study, performance, and appreciation of the music of Johann Sebastian Bach in the United States and Canada. The ABS produces Bach Notes and Bach Perspectives, sponsors a biennial meeting and conference, and offers grants and prizes for research on Bach. 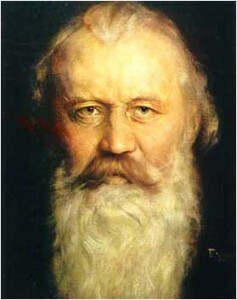 American Brahms Society – Founded in 1983 on the occasion of the sesquicentennial of the birth of Johannes Brahms, the American Brahms Society is a non-profit, learned organization that actively seeks to foster and disseminate research on the life, music, and historical position of Brahms. The Society publishes a biannual Newsletter, issues a series of Brahms Studies, awards the Karl Geiringer Scholarship in Brahms Studies, and maintains a Brahms Archive and Research Center. Members of the ABS include scholars, perfoming musicians, music teachers, scientists, doctors, lawyers, businessmen, and other lovers of the music of Brahms in North America, Europe, and Japan. The Society is governed by a Board of Directors which meets annually in conjunction with the national meeting of the American Musicological Society. Corresponding Directors link the Society with scholars, archives, Brahms societies, and research projects overseas. American College of Musicians – The ACM was founded in 1929 be Dr. Irl Allison. Since that time, the Guild has grown to more than 850 audition centers where thousands of students enroll annually in international auditions, which are held throughout the U.S and abroad. American Music Therapy Association – AMTA’s purpose is the progressive development of the therapeutic use of music in rehabilitation, special education, and community settings. 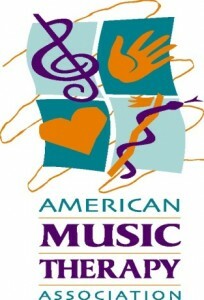 Predecessors, unified in 1998, included the National Association for Music Therapy founded in 1950 and the American Association for Music Therapy founded in 1971. AMTA is committed to the advancement of education, training, professional standards, credentials, and research in support of the music therapy profession. Association for Technology in Music Instruction – The mission of the Association for Technology in Music Instruction (ATMI) is to improve music teaching and learning through the integration of current and emerging technologies into the music learning environment. It does this by providing a forum for the scholarly presentation of pedagogical and technical information for music teachers in higher education. ATMI seeks to engage both specialists and non-specialists in music technology, in an atmosphere that effectively disseminates information, encourages participation, cultivates collegial relationships, and engages practice. Council on Culture and Arts for Tallahassee/Leon County (COCA) – COCA, the Council on Culture & Arts, is a non-profit organization that serves as the facilitator and voice for the arts and cultural industry in Florida’s capital area. They serve a dual role: providing information, and promoting the arts and culture to citizens and visitors. Early Music America – (EMA) is a not-for-profit service organization for the field of historical performance in North America. Founded in 1985, EMA’s goal is to expand awareness of, and interest in, the music of the Medieval, Renaissance, Baroque, and Classical periods. EMA’s members receive a quarterly magazine, bulletins, and benefits including access to reduced-rate insurance, discounts on publications, concerts, and festivals, and eligibility for awards and scholarships. With its broad membership, including professional performers, ensembles, presenters, instrument makers, amateur musicians, and audience members, Early Music America serves as an advocate for the field throughout the continent. 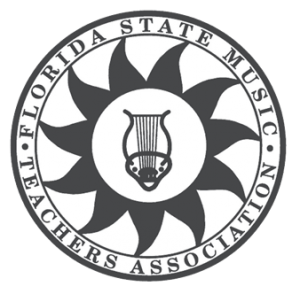 Florida State Music Teachers Association – The Florida State Music Teachers Association is an organization whose members are professionally engaged in the teaching of music in the State of Florida and who have met certain membership qualifications, as set forth in the Bylaws of the Association. The primary purpose of the Association is the advancement of music in the State of Florida through excellent teaching, learning, and performing which seeks to recognize individual achievement at all levels. Specifically, the Association strives to raise and maintain the standards of music teaching; stimulate public interest in music; encourage the study of music; and protect its members in all matters pertaining to the profession. 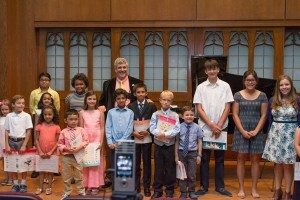 International Society for Music Education – The International Society for Music Education (ISME) believes that lived experiences of music, in all their many aspects, are a vital part of the life of all people. ISME’s mission is to enhance those experiences by building and maintaining a worldwide community of music educators characterized by mutual respect and support; fostering global intercultural understanding and cooperation among the world’s music educators; and promoting music education for people of all ages in all relevant situations throughout the world. Music Teachers National Association – The mission of Music Teachers National Association is to advance the value of music study and music making to society and to support the professionalism of music teachers. The association maintains two subsidiary programs: MTNA Professional Certification Program and the MTNA Foundation Fund. The Professional Certification Program exists to improve the level of professionalism within the field of applied music teaching and helps the public readily identify competent music teachers in their communities. Society for Music Perception and Cognition – The Society for Music Perception and Cognition is a not-for-profit organization for researchers and others interested in music perception and cognition. The objectives of SMPC are:to further the scientific and scholarly understanding of music from a broad range of disciplines, including music theory, psychology, psychophysics, linguistics, neurology, neurophysiology, ethology, ethnomusicology, artificial intelligence, computer technology, physics and engineering; to facilitate cooperation among scholars and scientists who are engaged in research in this interdisciplinary field; and to advance education and public understanding of knowledge gained. The Society for Music Theory (SMT) promotes music theory as both a scholarly and a pedagogical discipline. Today the Society has a membership of over 1200 music theorists worldwide, whose interests embrace a varied and growing range of subject matter. Society for Seventeenth Century Music – The Society for Seventeenth-Century Music is dedicated to the study and performance of seventeenth-century music and related arts. The Society currently includes more than 250 members and over two hundred additional international subscribers to its electronic newslist SSCM-L. Members receive a semi-annual newsletter, 17th-Century Music. The Society also publishes the on-line, peer-reviewed scholarly Journal of Seventeenth-Century Music (JSCM); JSCM Instrumenta, an on-line reference series; and the Web Library of Seventeenth-Century Music (WLSCM), an on-line collection of performing and study scores in scholarly editions. SSCM incorporates the American Heinrich Schütz Society, which is the U.S. Chapter of the International Heinrich Schütz Society. The Tallahassee Music Teacher’s Association – The TMTA is a prestigious, non-profit, professional organization that embraces full membership for independent, public school, and college educators in the capital of Florida since 1945.